The following is a reflection on John 2:13-22. the Gospel lesson for the Third Sunday in Lent, Year B, according to the Revised Common Lectionary. 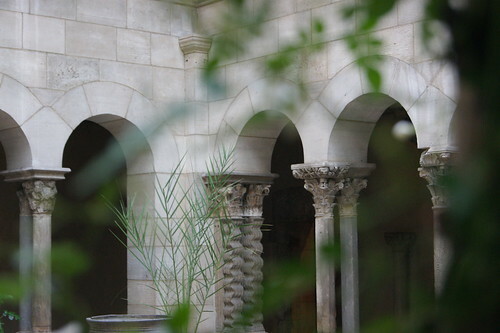 St. Guilhem Cloister, at The Cloisers, NYC. Photo by Rick Morley. In my imagination, it went something like this: It was a stunningly beautiful morning. You know that kind of morning? When the sun just seems to shine brighter, and the sky is so brilliant blue that it makes you stop and stare? When the breeze is slight and cool and the sun is warm on your skin? When the mountains, and the sea, and the trees, and homes, and flowers just all seem to sing? When everything just fits together, and you’ve slowed down just enough to catch it? I imagine it was one of those mornings when King Solomon walked out of his cedar palace, and onto a sweeping veranda and looked out upon his kingdom shining in the brilliant sun. The birds were singing, the scent of jasmine hung in the air, and somehow the cares of governing seemed a little lighter. And standing there in his palace, a realization dawned on him. And it stung. He had a grand house. And God was in a tent. His father, David, had said something to him at some point about building God a House, and all of a sudden it seemed pressing. All was right in the universe…except one big, huge, ginormous thing. And so Solomon set his focus on building the House of God. This is one of the things which we have a hard time grasping. Some of us may hear this, and think: Oh, he wanted to build a church. The world is full of churches and chapels, synagogues and oratories that were built because someone at sometime thought it was right and good to build a place for prayer and worship there. 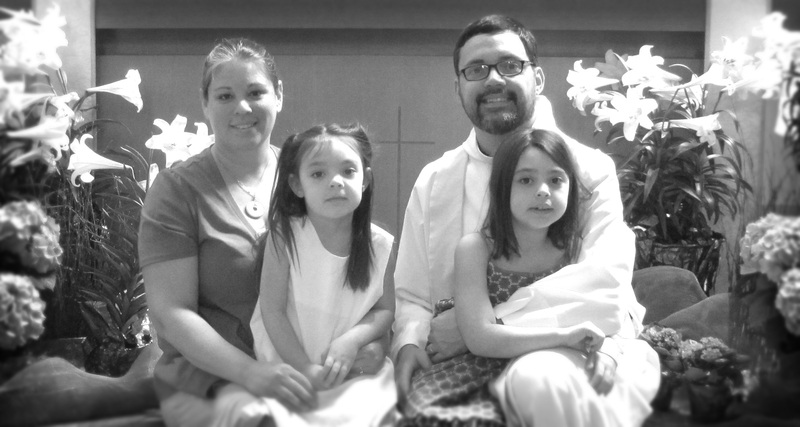 My family and I lived in the town of Lonaconing, in the mountains of western Maryland for over seven years. It’s a beautiful place, full of beautiful people. About 1,200 of them. Sitting in the office of the current church that I serve in suburban New Jersey I can easily walk to four other churches. And, if I were even just a little adventurous, I could make that six. I lived in England for a year after college, and one of my favorite things to do was travel around by train. I’d love blazing along watching the small little hamlets zoom by, with their little collection of thatched-roofed homes and the one craggy church spire pointing towards the sky in the middle of each hamlet. But, even though medieval towns were set up with just one church in them…there was still a church for each hamlet. Our modern landscape-whether we’re in the city or the country-is dotted by places of worship. Sometimes dressed in Gothic stone, sometimes with colonial columns, and sometimes with simple white siding. But, Solomon’s Temple wasn’t just another church. Not even just another important church. This wasn’t like St. Peter’s in the Vatican, or Westminster Abbey in London, or St. Patrick’s in New York City. Solomon’s Temple was the only place of worship in Israel. It was God’s House, not just one-of-the-houses-of-God. The other important distinction, when it comes to the Temple in Jerusalem, is that it wasn’t the House of the People of God, it was the House of God. Implicit in Protestant theology, which has seeped into the consciousness of people far from Protestantism, is that a “church” is merely the place where people come to gather and hear God’s Word. In such a mindset, God is no more “present” in the church building than anywhere else. What makes the building holy and sacred is that is set apart for the people to come and worship. There may be deep emotional and spiritual ties associated with the building, but God is everywhere, not just there. But, that’s not the theology of the Temple. In the center of the Temple—in the Holy of Holies—the Ark of the Covenant was set. And there, in the heart of the Temple complex, in the heart of the city which served as the spiritual and political heart of Israel…God dwelt among God’s people. I believe that this can’t be overstated, because in the second chapter of John, Jesus identifies himself as The Temple. And, if we don’t understand the theological significance of the Temple as THE place where the actual Presence of God Almighty dwells among His people, then we miss the theological significance of what Jesus is saying here. Jesus is saying that he’s the place where the Presence of God dwells among His people. Part of the significance of this is that when John’s audience was reading this it was only a few decades after Rome’s destruction of the Jerusalem Temple. The people in Jerusalem and all of first century Palestine were still trying to figure out how to get along with a Temple. When they read John’s Gospel however, they were comforted in that there was another Temple. And it was Jesus. But, even when Jesus says these words some four decades prior to the razing of the Temple, Jesus is telling his listeners deep connection to God could be found through him. Not through a building. Not encased in stone and mortar. But, in him. Thanks for these thoughts, Fr. Morley. Very much appreciate the perspective of what the post-Temple Israelites would have been undergoing and the comfort that these words of Jn 21 would have brought. And us! Canon Paul, thanks so much for your word of encouragement – I hope ministry is going well in the arctic!